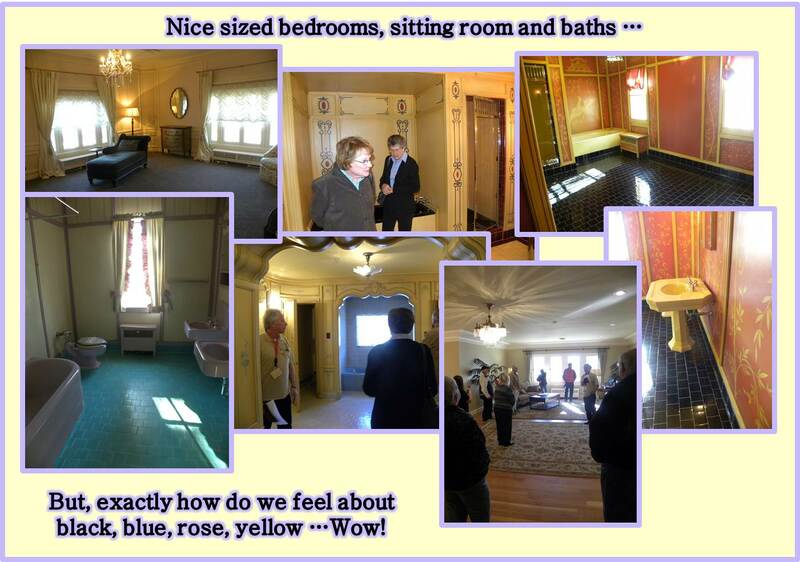 On January 21, 2014, Larkspur Historical Society visited the magnificent Highlands Ranch Mansion. 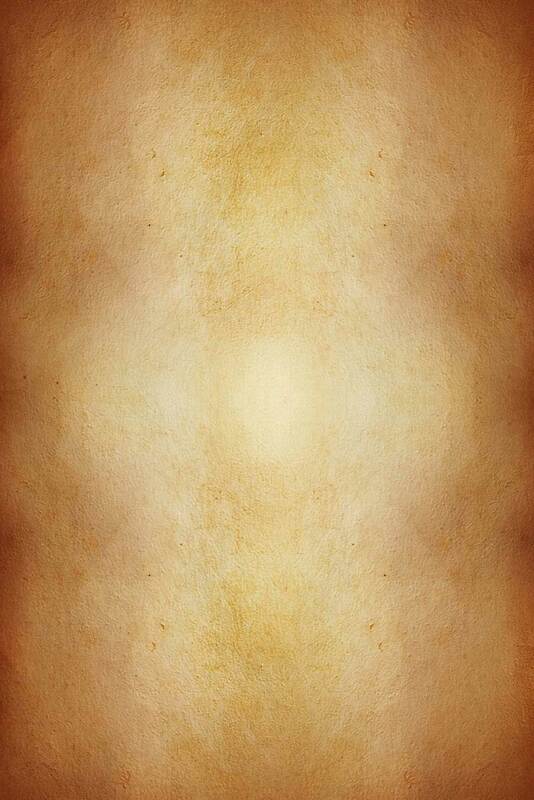 What a gorgeous creation. 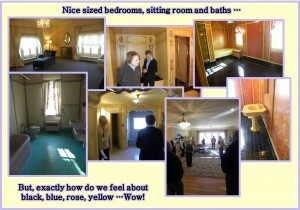 The recent renovation was well done and the mansion’s three additions, rooms and appointments are excellent. The eight folks from LHS participating in the event really enjoyed themselves. Thank you, Highlands Ranch Historic Society, and our express compliments to your docents who are very well prepared and very responsive. The Mansion is truly well done and appointed. We loved the art deco bathrooms and will talk about them for some time. Thanks again. It is difficult to describe room by room by room and all of the ambiance and history that is associated. Hopefully, these five collage pictures will fill in the gaps! After all, aren’t pictures worth a thousand words? By the by, a nice lunch in Sedalia at O’Brien’s on the return trip to Larkspur was also well enjoyed. Half of us are truly real R.O.M.E.O.s! From those of you reading this that don’t know what that means, we suggest eating at O’Brien’s …you won’t regret it!